Early intervention is vital for children with developmental delay or a disability. Montrose has expertise in early childhood intervention to help your child develop the skills they need to engage with the world around them and get the best possible start in life. At Montrose, we can work with you to develop strategies that are individualised to meet your child’s needs. What is the Montrose Approach to Early Intervention? We employ specialist physiotherapists, occupational therapists and speech pathologists. They see each child as an individual and take a whole team approach to work together to help children develop the skills and strategies necessary for successful learning and development. This can include support for your child to participate more fully in daycare or kindy. We take a ‘transdisciplinary’ approach to work out the right package of support for each child. This means you may see one or more of our specialists but they will be working as a team to get the best outcomes. Sessions can be delivered in the home, daycare, kindy, or at one of our Service Centres. There is plenty of research to show that what happens early in a child’s life will have a big impact on their future. Children develop quickly during their early years gaining new skills and learning every day. Early intervention involves providing therapy support during this time when it is easiest for your child to learn new skills. Does My Child Have a Development Delay? All children grow up and learn at different rates and some take longer than others to learn to move, talk, interact and gain independence. If you have noticed that your child is finding it tough to keep up with others their age, they could be experiencing a developmental delay. The NDIS’ Early Childhood Early Intervention Approach (ECEI) is now being rolled out with the NDIS in Queensland. Under the NDIS, families can choose who delivers their early intervention support, as well as how they want the supports provided. Montrose is ready to provide those supports as the NDIS rolls out across the state. You don’t have to wait for the NDIS to give us a call though. We offer a variety of payment options and can accept children with Better Start or Helping Children with Autism funding. Montrose also has HiCAPS for private health insurance claims. Please call us if you would like to discuss funding options that may be available for you. 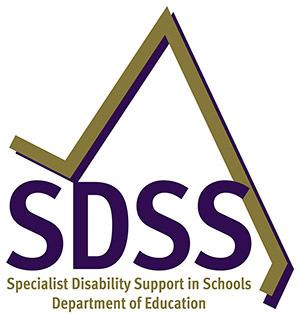 We provide support in schools for students with a disability through the Department of Education Specialist Disability Support in Schools (SDSS) Program. 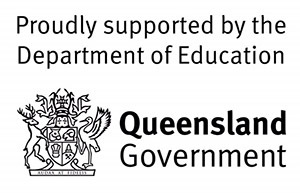 The SDSS Program provides a financial contribution to eligible organisations across Queensland (including Montrose) to assist in providing educational support services, specialised equipment and resources so that eligible students with disability can participate in school life, access the curriculum and achieve learning outcomes. The SDSS funding that we receive aims to support collaboration between schools and therapists to achieve optimal educational outcomes for students. Funded supports include physiotherapy, occupational therapy and speech language pathology. 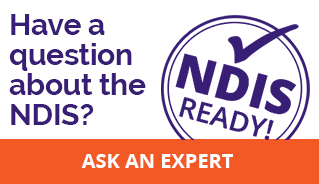 SDSS funding by itself may be insufficient to provide the required level of support to a given student. In these cases, further support is able to be purchased from Montrose on a fee-for-service basis. Alternatively, some students may have access to funding such as the National Disability Insurance Scheme (NDIS) or the Department of Communities, Child Safety, and Disability Services. As well as additional therapy support, psychology and social work services may also be purchased for cognitive assessments and advice, mediation, counselling and behaviour management. Referrals can be made for students with a verified disability who require significant levels of educational adjustments. A referral must be made by the child’s school with the consent of the parent or caregiver. Download our SDSS School Therapy Referral Form by clicking the button below or call us on 1800 193 362 for more information. Alternatively, send us an email here.